More rigorous testing to prove biosimilarity and safety were the biggest concerns. While FDA’s biosimilar draft guidance may have succeeded in conveying the agency’s expectations, it has also sparked resistance among some industry players. Comments received by FDA show that the proposal it released on February 9 has generated discontent over certain definitions as well as requirements. FDA’s comment period on the draft document ended today. Stakeholders sent criticisms over the suggested protocols as well as several recommendations for change. The draft guidance, contained in three documents, represent FDA’s interpretation of the Biologics Price Competition and Innovation (BPCI) Act of 2009, which was part of President Barack Obama’s healthcare overhaul. The BPCI created an abbreviated licensure pathway for biological products shown to be biosimilar to or interchangeable with an FDA-licensed biological reference product. FDA proposes to use a risk-based, totality-of-the-evidence approach. What Makes a Biosimilar Similar? In comments to FDA, two drug developers said that the agency should tighten its proposed biosimilarity standards. While commending FDA for “an excellent job drafting guidance on quality considerations for demonstrating biosimilarity to a reference product,” Genentech took issue with FDA’s proposed wording that manufacturers “should” thoroughly assess the analytical similarity of their biosimilars to their reference products, and “should” perform in-depth chemical, physical, and bioactivity comparisons with side-by-side analyses of “an appropriate number of lots of the proposed biosimilar product and the reference product.” FDA also suggested that “where available and appropriate,” manufacturers compare their products with the reference standard for specific suitable attributes such as potency. The assessment of the analytical similarity of a biosimilar product and the robustness of these methods are fundamental requirements for a biosimilarity assessment, and use of the word “should” implies that it does not necessarily need to be done, Genentech noted. “Please replace ‘should’ with ‘is expected to’ or ‘needs to,’” Genentech stated in a letter transmitted to the agency by Earl Dye, director of technical regulatory policy and strategy. Novo Nordisk urged FDA to define biosimilars as products that are as similar as scientifically possible to their reference products, at least through sharing the same amino acid sequence, without exception, as their reference products. 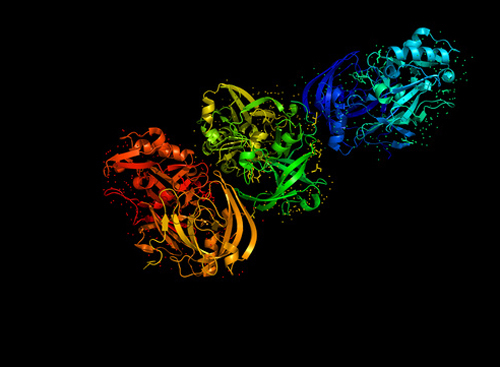 The company cited FDA’s emphasis on the importance the 3-D structures of proteins play in their biological functions and the ability of post-translational modifications to alter the proteins’ functions. “FDA should never permit biosimilar applications for products that cannot be adequately characterized,” Novo Nordisk stated in its letter, signed by James C. Shehan, Novo Nordisk’s corporate vp, legal, government, and quality affairs. Biosimilar producer Biocon counter-suggested that FDA should expect that the expression construct and/or the processing of a proposed product will result in the same primary amino acid sequence as the reference product. Some expression constructs may give a precursor protein that only after modification in the process will yield the same amino acid sequence as that of the reference product, Biocon noted in its letter, submitted by Siriam Akundi Ph.D., associate vp, quality, and regulatory. Novo Nordisk also believes that biosimilar applicants “should always submit the results of comparative animal toxicity studies.” It added, “in the current state of science, some form of comparative safety and effectiveness testing will be necessary for almost all biosimilars. Two patient groups also called for FDA to promote greater safety. The Colon Cancer Alliance asked FDA to require “extensive” clinical testing of biosimilars, with a system capable of rigorously tracking and tracing them back to their product of origin. “It is critical to the safety of patients that these drugs be submitted to open and robust clinical studies and are marked with a unique and transparent product labeling system that will facilitate robust pharmacovigilance,” Global Healthy Living Foundation (GHLF) president Seth Ginsberg wrote in GHLF’s letter. Ginsberg noted that it is difficult to designate a biosimilar as interchangeable with their innovator products unless there is sufficient data. He expressed concern that decisions on interchangeability could be made by pharmacists or insurers through states’ automatic substitution policies. “We believe that the choice of product should be decided only by patients and physicians, who are ultimately responsible for patient care and have the full spectrum of a patient’s medical history,” Ginsberg added. “The keys to success for the biosimilar pathway are informing and educating patients and physicians on the benefits and safety challenges of replicating biologic drugs, providing a unique and distinctive naming and labeling system, and understanding that the FDA’s approval of a biosimilar as a standalone therapy does not mean that it is interchangeable with its biologic counterpart,” the Colon Cancer Alliance stated in its letter to FDA written by CEO Andrew Spiegel. The alliance urged FDA to adopt a system that uses individual nonproprietary names for biologics and biosimilars, enabling physicians, patients, and regulators to differentiate between products easily—a suggestion also made by Novo Nordisk and the National Association of Chain Drug Stores. Novo Nordisk also urged FDA to publish product-class specific guidance for biosimilar and bioequivalent applications for complex proteins, like the EMA has done. With all the discord that FDA’s draft biosimilar guidance has created, the agency will have to work to balance the interests of innovators, biosimilar developers, and patient groups. The agency will have to ensure that it does not tilt its final guidance toward developers of new drugs by rules that unduly impede biosimilars. Nor should it tilt its requirements toward biosimilar makers seeking less rigorous review. It won’t be easy, but balancing competing interests will ultimately benefit companies, researchers, and especially patients, by finally providing a biosimilar pathway in the U.S.
Alex Philippidis is senior news editor at Genetic Engineering & Biotechnology News.